MOSCOW, Russia -- Russia is using advanced drones to monitor the conflict zone in eastern Ukraine, according to Ukrainian forces who claim to have shot down two of the aircraft this month. 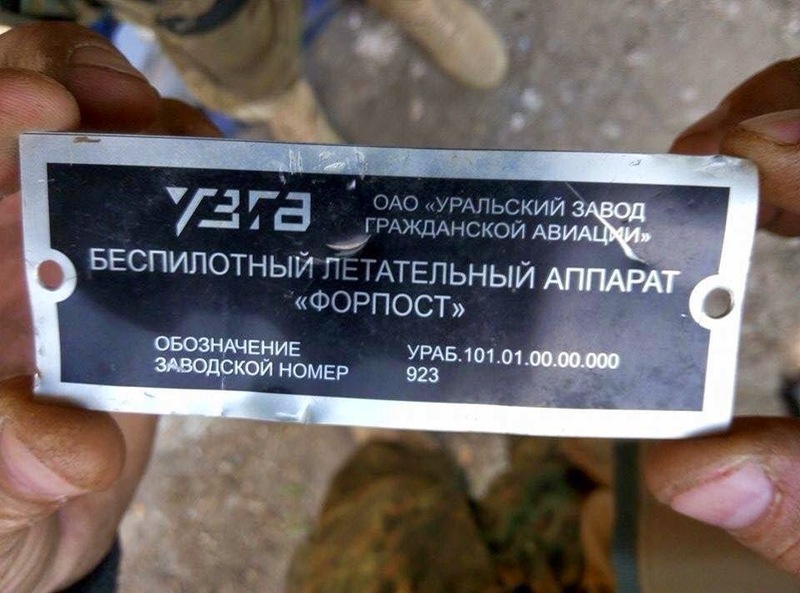 Retrieved wreckage appears to show further evidence of Russia’s involvement in Ukraine conflict. The first drone was shot down by Aerorozvidka, a special reconnaissance unit of the Ukrainian forces, not far from Luhansk, in eastern Ukraine, on 8 May. A battle ensued over the next two days as Ukrainian troops tried to retrieve the wreckage. When they reached the wreckage, the soldiers found four compasses and a triple backup navigation system to ensure the drone was virtually immune to electronic jamming and would always return home unless shot down. The interior metallic plates were stamped with two sets of Israeli markings. Gustav Gressel, a former first lieutenant and radar officer in an anti-aircraft battery of the Austrian military, said after inspecting the wreckage that it resembled an Israeli Searcher drone. He said neither Ukrainian forces nor the Organisation for Security and Cooperation in Europe (OSCE) used anything similar. “The thing has to come from Russia,” he said. Russia licensed the Searcher technology from Israel for manufacture by the Ural Works of Civil Aviation with the name Forpost. Gressel said it was the most advanced drone Russia had in current service, costing up to $6m (£3.8m) each. Chazin, a former Israeli soldier, also believes the drone is a Searcher type. “A normal drone pilot cannot fly this drone. It takes years just to understand the idea of how to build this technology,” he said. As Ukrainian experts were picking this drone apart, the Dnipro-1 battalion announced on Thursday that it had shot down another drone, which looked to be of the same make. Markian Lubkivsky, of the Ukrainian security services, said he believed the drone had been manufactured in 2013 at the Ural plant.